The American-Mexican border is still a land of the wolves, where Matt Graver (Josh Brolin) and Alejandro Gillick (Benicio Del Toro) seize every opportunity to restore a relative peace. When a series of suicidal bombers attack in Phoenix, the tracks lead to one of the cartels. The U.S. government hires Matt and Alejandro to stir the pot of the rivalling drug lords. 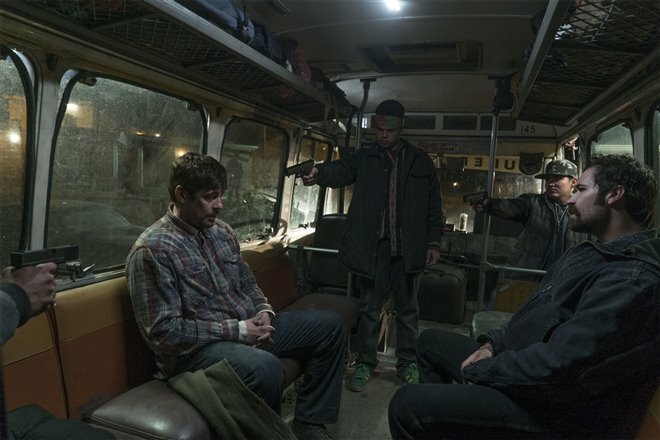 When “Sicario” has hit the cinemas back in 2015, Denis Villeneuve along with Taylor Sheridan and Roger Deakins have reinvented the topic of the drug cartels problem on-screen. The story was fantastically paced, gripping from the first shots of the sorrowful dessert and bodies found in the walls of a drug stash house. The story wasn’t inhumane thanks to Sheridan’s choice to look at the events from the perspective of Kate Mercer. Emily Blunt’s overwhelming fear and disorientation fuelled the film’s gruesome mood, but imbued it with a heart-wrenching reality. What Roger Deakins brought was an artistic touch, a genuine eye for frames and the sheer brilliance of portraying Juarez as a creature, as if the city swallowed the convoy team in a long, memorable sequence. As a result, Denis Villeneuve has tied all these things together and created one of the most impeccably executed, deeply thoughtful and depressing images of the decade – a saddening look at the conflict, which has no light at the end of the tunnel. 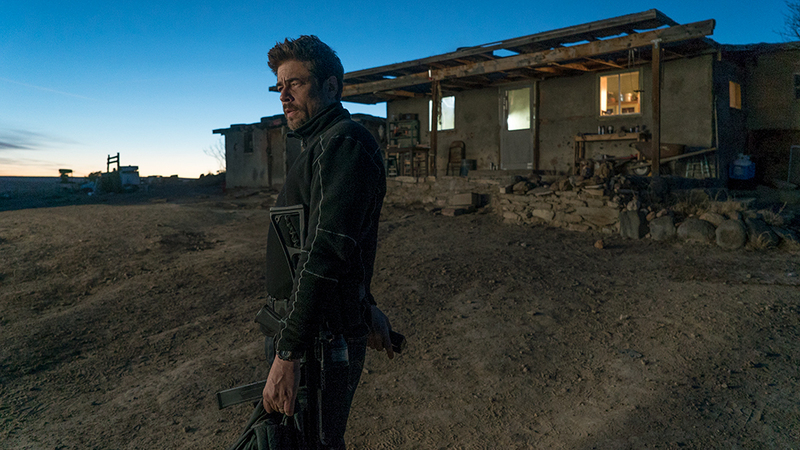 Fortunately, “Sicario: Day Of The Soldado” doesn’t try to continue or build on the same story. The Italian director Stefano Sollima borrows well-established characters and throws them into a new environment. The problem with that choice is that borrowing characters in the way “Sicario: Day Of The Soldado” does, is simply fruitless. The film doesn’t expand the background of either of the tough guys we know. Instead, “Sicario: Day Of The Soldado” relies on their established features. Matt is again the guy in flippers (this time traded for Crocs), who moves the boundaries as he pleases and likes to get dirty along the way. Brolin is obviously in his elements – he likes this resillient character. He is a confident jokester, but also a cutthroat predator when needed. What about Alejandro? Del Toro’s role in “Sicario” was a nuanced come back to “Traffic”. Villeneuve balanced him between a father figure to the lost Kate and a blood-lusting avenger of his deceased family. It resonated powerfully in the film. In “Sicario: Day Of The Soldado”, Alejandro is again brought to be a ruthless assassin – a shade, which follows the cartels. He kidnaps a 16 years old daughter of the man, who killed his family. But once he sees the ironic tragedy of that very situation, something melts inside him. This is a change in comparison with Alejandro we know. Del Toro and Brolin have both expanded their characters in a way, which can be praised. Alejandro and Matt became more than carnivores, manipulating fragile Kate. They both became victims of the very scheme they have been helping to build. Unfortunately, that’s the only redeeming thing about “Sicario: Day Of The Soldado”. My biggest “nope” concerning Sollima’s take is that… there is none. The creator of the blood-curdling “Gomorra” has chosen the easiest path there was. Literally, the easiest one. The execution of the film is almost a copy&paste from Villeneuve’s “Sicario”. We get to see the same visual treats – the night-vision shots, the bird’s perspective encompassing the dry borderlands, even the convoy scene on the bridge was re-done. Taylor Sheridan’s script is also cut loose this time. During the first couple of minutes, we travel to Somalia, Mexico and other places in the world. We see Matt interrogating a Somali pirate, we see Yemeni bombers and a plenty of carnage, which turns the eye of the faint of heart. The events are hard to link to each other, but Sheridan gallops forward. This race against time brings more mayhem than order, which eventually becomes tiring. Even the soundtrack, composed by Hildur Guðnadóttir (who worked with Jóhann Jóhannsson), is marked with too much influences from “Sicario”. The rhythmic pounding beats are accompanied by the imposing electronic sound design, which dresses the film in the same, nightmarish cloth. However, the key word here is “same”. 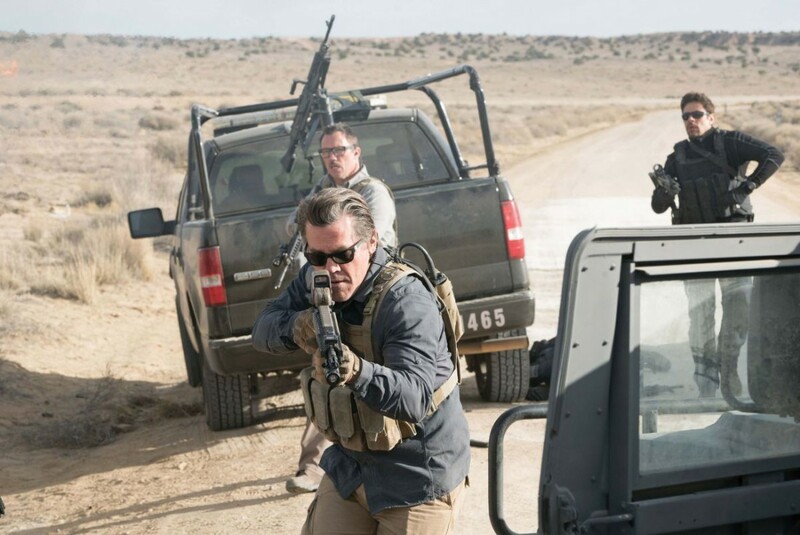 All these things wouldn’t bother me that much if Sollima and the pack included the most vital element of “Sicario” – it’s message. But this is the biggest let-down. “Sicario” wasn’t a blockbuster thriller wonder. It was a highly ambitious film, which – using a problem we are all aware of – painted a completely new narrative around it. Sollima, on the other hand, didn’t bring anything remotely fresh to the table. His film points to human trafficking – more than to drug cartels – but his conclusions are blatantly obvious. Hence, since he doesn’t have much to say, the director reaches out to almost horror-like violence. The only problem is that this violence, although undeniably shocking at times, doesn’t prompt anything. Frankly, even the most disturbing scenes and solid acting cannot wash off the impression that we didn’t really need “Sicario: Day Of The Soldado”. I’ll prefer to consider it as a complete standalone film, because then the experience gets slightly better. Previous Previous post: Is Joel Edgerton’s New Film Called “Boy Erased” An Oscar Bait?